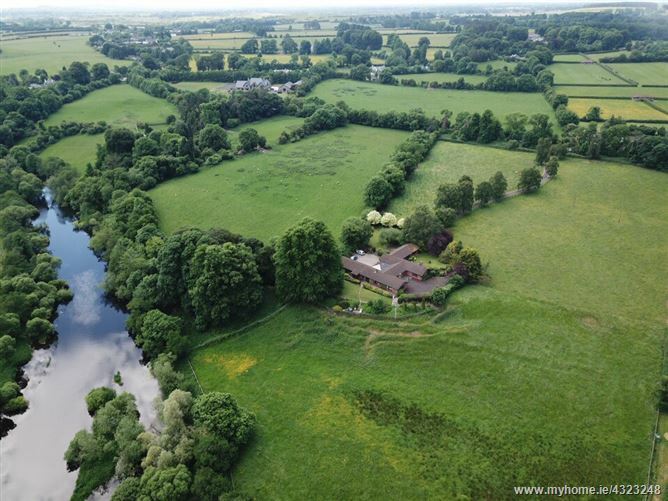 “Park Hill” is a unique opportunity to acquire a substantial residence on 12 acres on the River Liffey. Approached by a recessed entrance via a sweeping tree-lined tarmacadam avenue, the residence extends to circa 390 sq.m (4,200 sq.ft) with a low maintenance red-brick exterior. 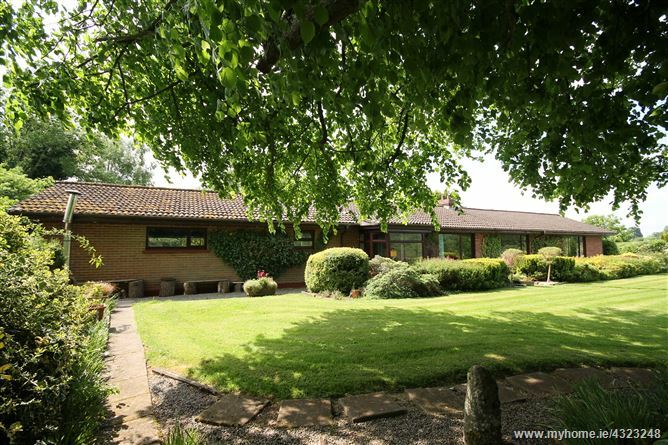 Initially constructed in the 1970’s, the property has been extended over the years and boasts spacious accommodation set amid private mature landscaped gardens bordered by a variety of trees and shrubs. The house benefits from mains water, oil fired central heating, PVC fascias and soffits and a double garage with workshop. 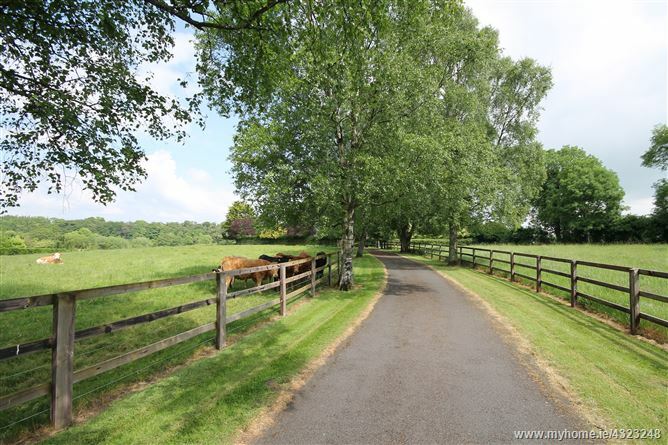 Athgarvan is a small village on the edge of the Curragh in the heart of equestrian Kildare. Newbridge is only 4km away with an excellent selection of restaurants, pubs, schools and shopping to include Whitewater shopping centre with 70 retail outlets, foodcourt and cinema. Commuters have the benefit of the bus route from town, M7 Motorway access at Junction 12 and train service in town direct to City Centre. 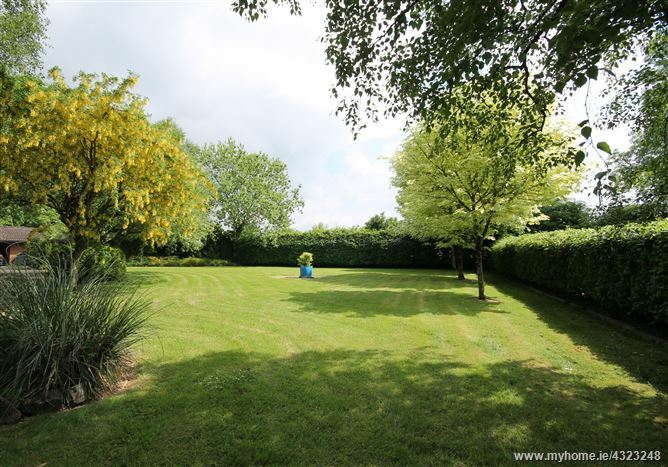 Approached by a recessed entrance to a sweeping tarmacadam avenue lined by mature trees with paddocks on both sides. Double garage with up and over door, fuel store, workshop and boiler house. Mains water, septic tank drainage, oil fired central heating and electricity. 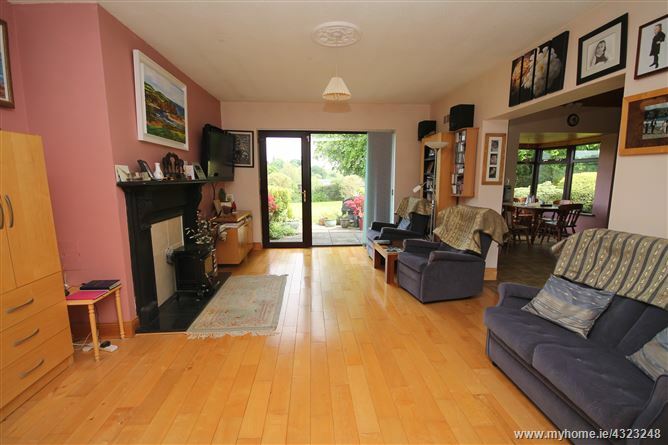 •	Convenient Newbridge, Kilcullen and Naas. •	Very good primary schools nearby. •	Easy access to M9 and M7 Motorways. •	An ideal hunting box. 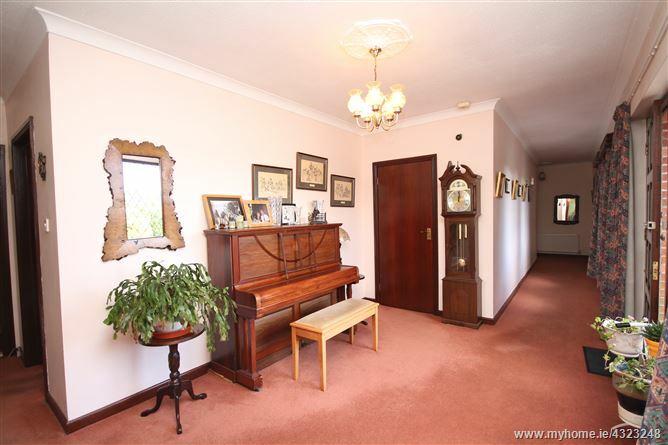 Entrance hall: 9m x 1.3m With cloak closet. Lounge: 6.04m x 5.45m With part-parka floor, coving, marble fireplace. Living Room. 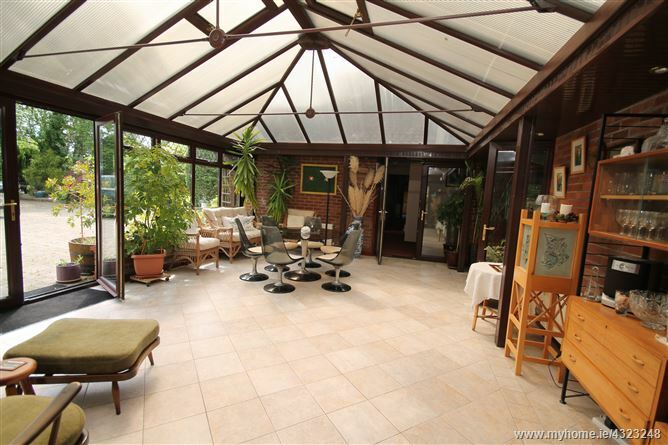 5.44m x 3.65m With French Doors, Stanley stove and maple floor. 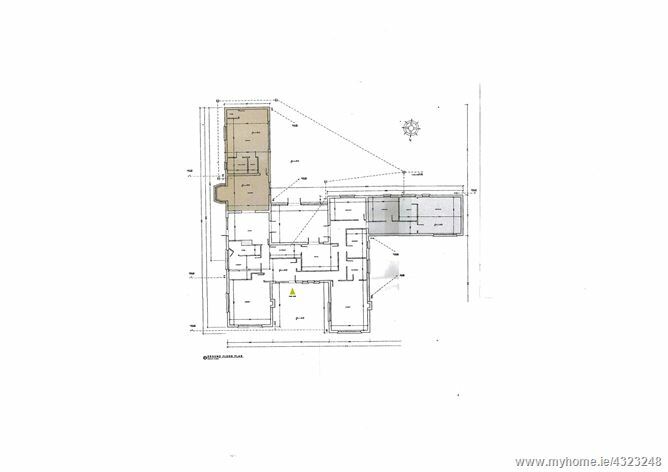 Office: 4.8m x 3.52m With pine floor. Kitchen/diningroom. 5.4m x4.7m With tiled floor, built in ground and eye level units. 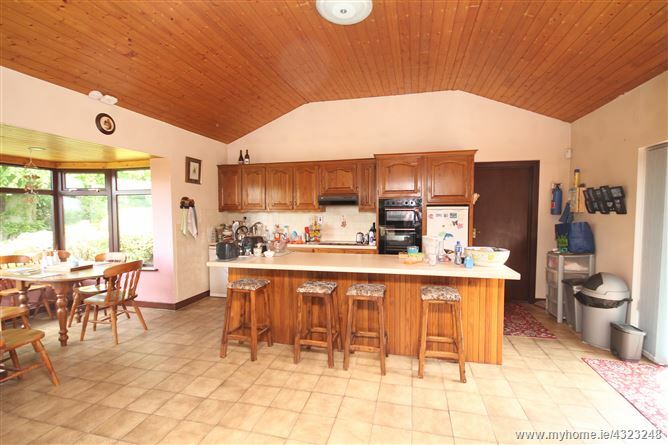 Belling double oven, ceramic hob, extractor hood, bay window, breakfast counter and pine ceiling. Utility Room/Laundry Room: 3.2m x 1.6m With built in ground and eye level units. Plumbed. Hot Press: Shelved with immersion. 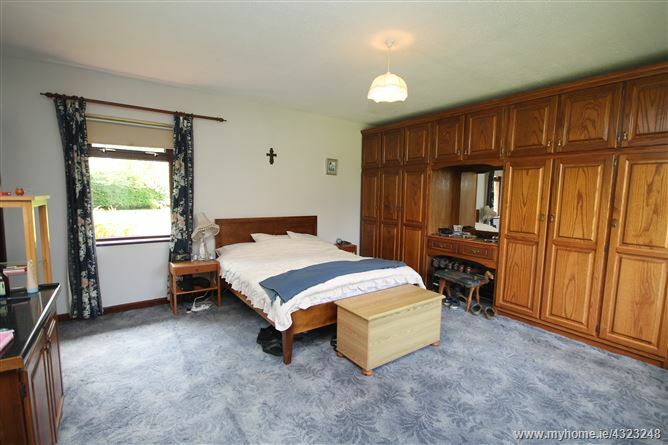 Master Bedroom: 5.73m x 4.85m With built-in wardrobes. En-suite: Fully tiled, w.c., w.h.b. and rainwater shower. Bedroom 2: 6.58m x 4.84m With coving. En-suite/Bathroom: Fully tiled with w.c., w.h.b., bath and electric shower. Bedroom 3: 3.84m x 2.62m With coving. Bedroom 5: 4.06m x 3.15m With Airing Cupboard. En-suite: Tiled floor, w.c., w.h.b. Guest showerroom: Fully tiled with heated towel rail, w.c., w.h.b and shower.